Although Excel's default file format is an XLS workbook file, it can also open and save a wide variety of files generated by several other applications. An important consideration is whether a particular file type can survive a "round trip." In other words, do you lose any information if you save a file in a particular format and then reopen it in the same application? 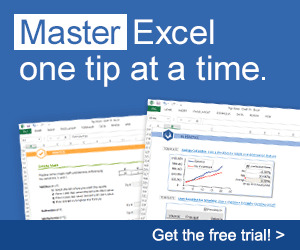 As you might expect, using Excel's native file format (XLS files) ensures that you'll lose absolutely nothing—as long as you use the latest version of XLS. If you save and retrieve a file with a format other than the current XLS for-mat,you run the risk of losing some types of information — typically formatting and macros, but sometimes formulas and charts. In the sections that follow, I discuss the various types of files that you can and cannot use with Excel.